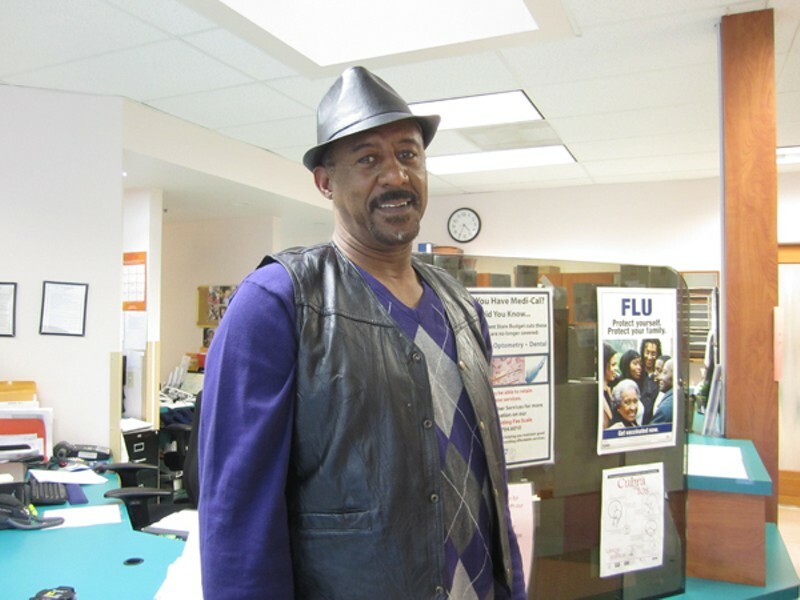 Rebecca Ruiz Ishman Finister had lost his health-care coverage before getting Medi-Cal through Obamacare. This report was made possible by a grant from HealthyCal.org, an independent, nonprofit journalism project supported with initial funding from the California Endowment. Ishman Finister describes himself as a man of faith. When the 63-year-old lost his medical coverage last year, he prayed for good health. "That's all I could do," he said. The loss of coverage also forced Finister to make hard decisions about how to ration the seven different medications he takes to control his high blood pressure and diabetes. One pill was prescribed for three times a day; he took a single dose and tried to walk more and eat healthier instead. Finister's predicament was unexpected. He had been receiving Medicare coverage as the caretaker of a teenage grandson with a disability, and he assumed Medicare would remain in place past his grandson's 18th birthday. But it did not. Surviving only on early Social Security benefits, Finister thought comprehensive health insurance would be out of reach until he turned 65. 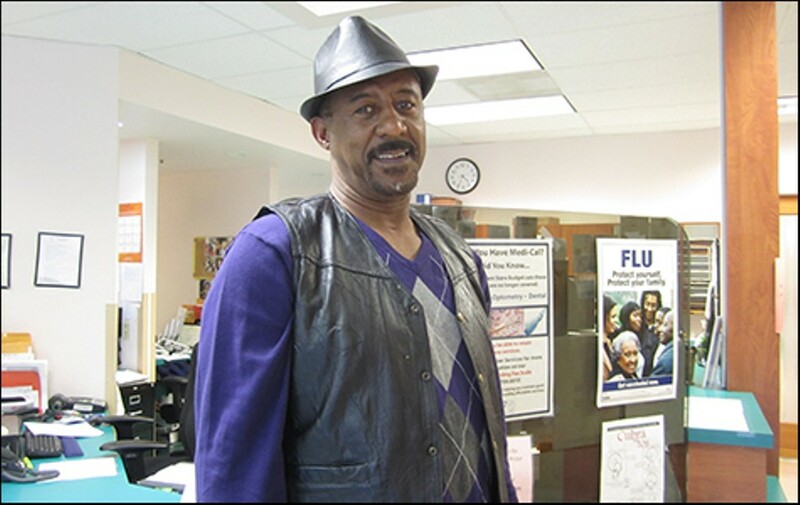 What Finister didn't realize is that he belonged to a population Alameda County has worked hard to insure: low-income adults between the ages of 19 and 64 who qualify for Medi-Cal under the Affordable Care Act (ACA). An estimated 56,000 county residents fall into this category, and the majority of them were signed up for a limited local health plan and pre-enrolled in Obamacare well before the program's deadline. On January 1, most of these individuals, including Finister, automatically received Medi-Cal — public insurance that was previously only available to low-income children, mothers, and adults with disabilities. Those who didn't qualify for Medi-Cal because their incomes were too high became eligible for a subsidy to purchase insurance. Alameda County's efforts to extend Medi-Cal to poor adults — a hallmark of Obamacare — have been remarkably successful, according to data collected by the UCLA Center for Health Policy Research. Local officials say the county was well positioned to pull this off — it had an existing system of community health centers that already serve the poor; money to invest in the new initiative; and leadership that helped set the terms when the California legislature drafted a bill outlining the expansion of Medi-Cal. While there are concerns about aspects of the expansion, the prospect of reliable, affordable medical care is life-changing for many people. For Finister, he's no longer frightened about the consequences of his blood pressure spiking in traffic. "It's like I can breathe again," he said. When it comes to Obamacare, California is at the vanguard. The state, along with six others, took advantage of an "early-adopter" provision in the law. This measure provided federal Medicaid funding to states that wanted to expand coverage to low-income adults well before the beginning of this year. For public health officials, the early-adopter provision was an enticing deal because the federal government promised to match every dollar put up by the state. In exchange, uninsured adults making up to 138 percent of the federal poverty level — $15,856 for a single person and $32,499 for a family of four — would receive limited coverage and become eligible for Medi-Cal. Though California volunteered to become an early adopter, its finances were abysmal in 2010. A state deficit of more than $20 billion required creative policy-making to take advantage of the early-adopter program. The legislature passed a bill that year permitting the state to use county funds to receive the federal matching dollars under Obamacare. Alex Briscoe, director of Alameda County's Health Care Services Agency, said local officials were "instrumental" in developing the legislation. "It gave counties that were courageous enough, understood Medicaid well enough, and had elected leadership committed enough the opportunity to take advantage of the ACA," he said. Local officials knew they could efficiently reach more low-income residents by expanding the county's indigent care program and a small initiative that treated poor adults with diabetes, hypertension, asthma, and congestive heart failure. To pay for that, Alameda County used general fund money that was already committed to health-care spending. In return, it received from the federal government $50 million annually from 2011 to 2013 to provide primary and mental health care to nearly 50,000 previously uninsured adults. Until the official rollout of the Affordable Care Act, the newly eligible residents were placed in a low-income health plan offered by the county. Unlike typical insurance, the county's program didn't allow patients to go to any medical facility — but it did offer access to the public hospital and clinics in the area. As of September 2013, the last month from which data are available, Alameda County enrolled nearly 90 percent of the uninsured eligible population in the low-income health plan, which then largely switched to Medi-Cal on January 1. By contrast, San Francisco and San Mateo counties had registered about 70 and 80 percent, respectively, as of September. Elsewhere, that number was much lower: San Joaquin County enrolled less than 10 percent. Dylan Roby, a researcher at the UCLA Center for Health Policy Research and an assistant professor of health policy and management at the university's Fielding School of Public Health, said these differences reflect several complicated factors specific to each county's budget, administration, and population. Lagging enrollment rates don't necessarily mean that the uninsured aren't being treated — they may have received indigent care while awaiting approval of a Medi-Cal application under the ACA. Still, Roby said, Alameda County benefited from its financial situation and inventive leadership. Briscoe, in part, credits the county's network of community health clinics. The county worked closely with these organizations to identify and enroll clients who qualified for the expansion. LifeLong Medical Care, where Finister now sees a doctor regularly, is one of these clinics. Marty Lynch, executive director of LifeLong, said that many of the patients with the low-income health plan, and now Medi-Cal, are receiving treatment for chronic diseases like diabetes and hypertension. "It's not that anybody is coming in with anything different," he said. "It's just now they have coverage." For Finister, this distinction is critical. When he recently filled prescriptions for blood pressure and diabetes medication, the pharmacist surprised him with the new price: $6 instead of $32, a discount provided by Medi-Cal. And after a lifetime of avoiding hospitals and 35 years of smoking, Finister has started to see his health in a new light. He's taking a smoking cessation class offered by the clinic and plans to take yoga. "They let me know I can do better," he said of the doctors at LifeLong. Even if a fraction of those with Medi-Cal have experiences similar to Finister's, it would be a public health triumph. But there are caveats. Gauging the benefit of expanded coverage requires data, and that information won't be available for some time. The hope is that chronic conditions improve, but research shows they don't always get better — even with insurance. A recent Oregon study also found that emergency room visits actually increased with Medicaid coverage, partly because of lengthy delays to see a primary care doctor. Briscoe said that's a problem the county is trying to solve. A new patient can wait as many as ninety days to see a physician in one of the community clinics. Alameda County supervisor Keith Carson, who was involved in the expansion, is also monitoring other concerns. Though the county has reached nearly the entire eligible population, there remain difficulties enrolling some people in Medi-Cal. This includes the homeless and young people in East and West Oakland who've long gone without insurance and see no reason to talk to authorities about their income. The county is also working to integrate outreach efforts into probation and parole administration, so that offenders sign up before coming home. Then there is the question of whether or not those covered by Medi-Cal will opt for a private hospital or provider instead of a public or community-based one. If those institutions lose customers to private competitors, it could undermine their long-term sustainability — potentially threatening the safety net the county has built for poor residents. "We're going to have to be not only serving individuals coming through public hospitals, we're also going to have to be competitive," he said. Carson considers these challenges as reminders that even if the county's Obamacare Medi-Cal expansion has been successful, any number of things could derail the progress. "We're not going to applaud and sit down," he said. "We still know it's an uphill battle."